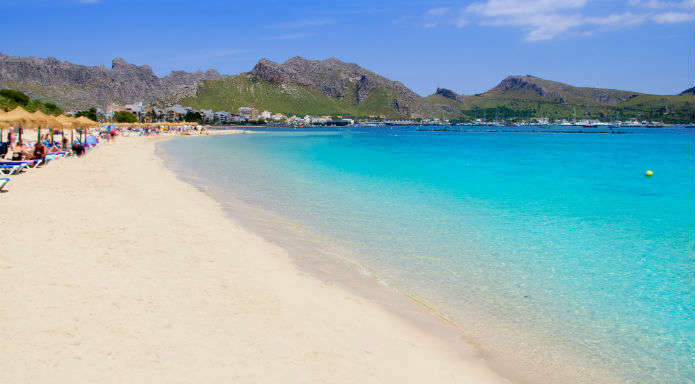 Centrally located in the curved bay of Puerto Pollensa, the main beach’s calm, shallow waters and close proximity to restaurants and shops make it ideal for a day out with the kids. The beach is equipped with toilets and showers, and is manned by lifeguards throughout the day to give you peace of mind. 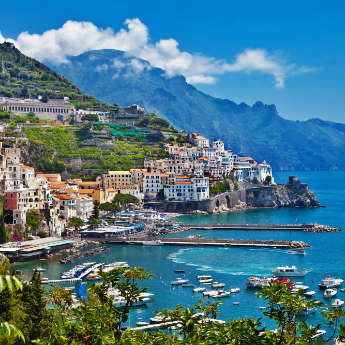 Sun loungers and parasols can be hired as well as pedalos and dinghies to take into the water, and there are a range of activities available including water-skiing, banana boats and paragliding. 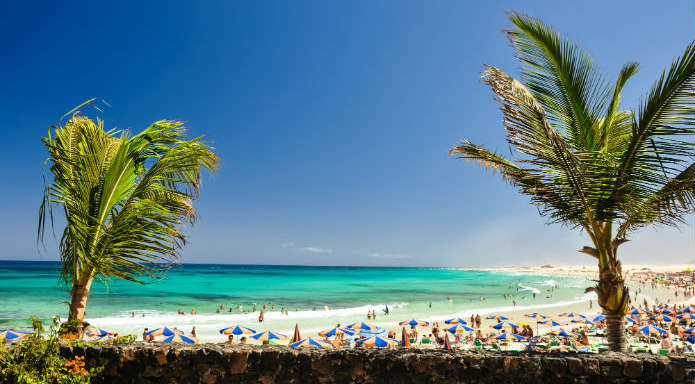 The Playa Grande main beach inTossa de Mar is well suited to families, having been given a Blue Flag award for its cleanliness and facilities. The beach has toilets and showers for the public to use, and first aiders are on hand to help out in an emergency. 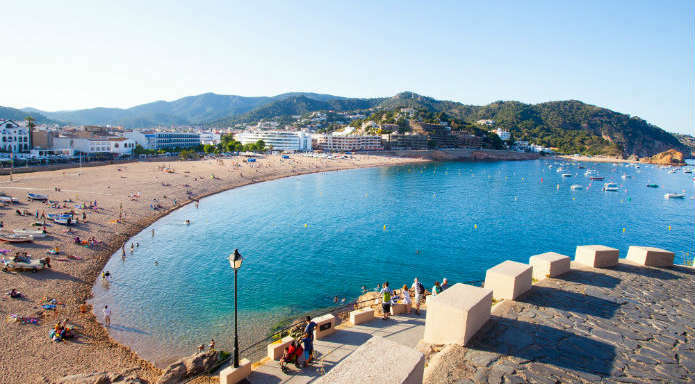 There are plenty of watersports on offer including waterskiing, pedalos and kayaking, and visitors can also book boat rides to Lloret de Mar or glass-bottomed boat trips to discover the marine life living below the waves. The six-mile stretch of beach at Corralejo is a popular sun spot, and although the beach is usually busy it is spacious enough for each group to find their own patch without feeling too crowded. 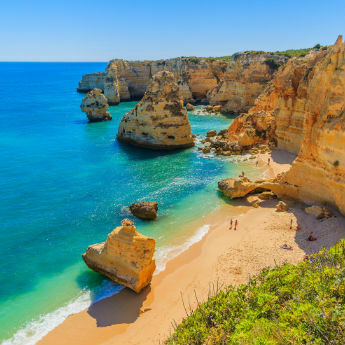 A family-friendly resort in all aspects, the beach is clean and safe, and is close to shops and restaurants for when you need a break from the sun. Corralejo has the added bonus of being backed by sand dunes, making for a dramatic backdrop in your holiday photos! 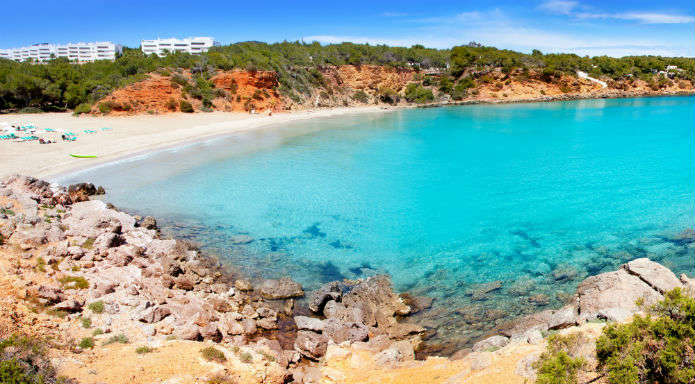 Hidden away on Ibiza’s quiet northeast coast, Cala Llenya is a wide curved beach backed by pine trees, sheltered from the wind and providing plenty of shade for hot days. Accessible by car or taxi 15 minutes’ drive from Es Cana, this relaxing spot has showers and lifeguards, and is close to bars and restaurants. Cala Llenya is perfect for children; the beach is quiet and peaceful even in peak tourist season, and the water remains shallow quite far out for safe swimming. 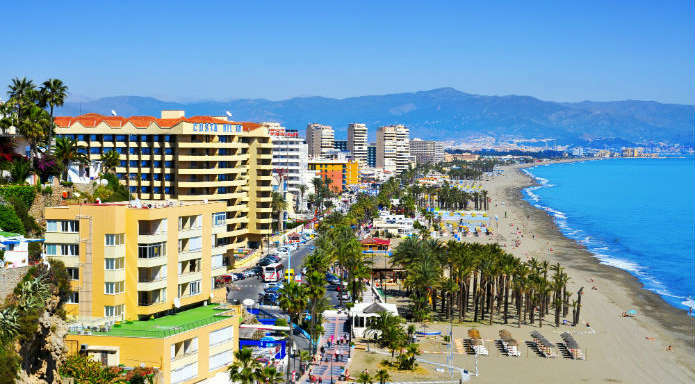 Torremolinos is home to a number of beaches, the most central of which is Playa de Bajondillo. 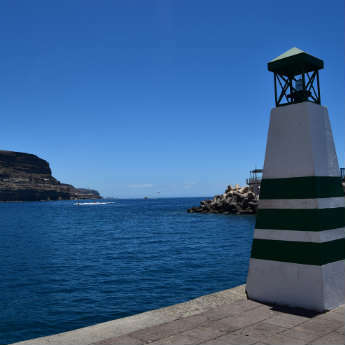 Accessed via the charming old fishing district and flanked by several other golden sand beaches, this beach is clean, spacious and within easy walking distance of restaurants and shops on the main promenade if you’re in need of food or refreshments. This beach is popular with families and often busy, featuring beds and parasols for hire, a children’s play area and volleyball courts.